We, at "Roselle Park Rita Pharmacy", are happy to share the different services that we offer to our loyal patrons or new customers. Call us today at 732-283-1111! Roselle Park Rita Pharmacy is now accepting prescription refill requests. Send your details in the form below. Send your details in the form here to transfer your prescription to Roselle Park Rita Pharmacy. 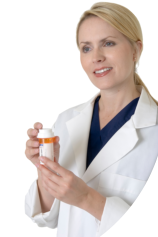 Sign up for the Auto Rx Refill program at Roselle Park Rita Pharmacy. It’s easy, fast and convenient. There are hundreds of pharmacies out there today; however, if you are looking for a pharmacy that truly cares, Roselle Park Rita Pharmacy is the right choice for you. In fact, to better serve our customers, we are proud to say that we have now gone online! Products and services. With our vast array of products and services, we assure you that we are your best choice for all of your pharmaceutical needs. All of our products and services were carefully designed to help boost and promote your health. Expert staff. Aside from having topnotch products and services, we are proud to say that we employ only the best staff as well. All of our employees are compassionate, dedicated, and they have the knowledge and skills required to meet your needs. So, give us a call today at 908-245-1396 for product inquiries, or send us an email at rpritapharmacy@yahoo.com for any concerns. We look forward to hearing from you!